The 80 acres of woods you are about to explore were donated to the Batesville community by Lena Brum (1900-1993). Lena was a life-long resident of Batesville who loved nature. She attended Batesville schools and worked as a switchboard operator at the telephone company. She retired when the company no longer used switchboards and spent the rest of her life taking care of her family and their land. 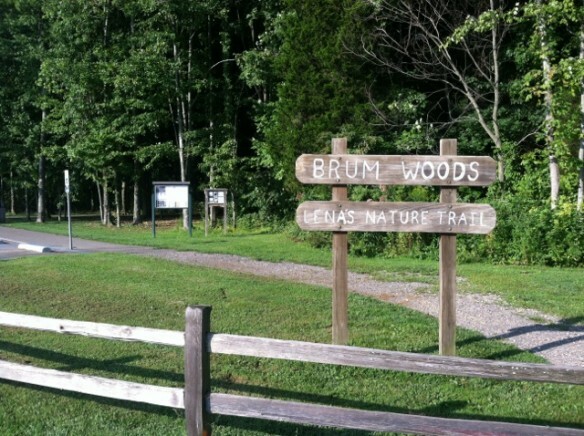 A diversity of plants and animals that call Brum woods home can be found along the hiking and biking trails. Thank You Lena for a wonderful gift! To provide for your safety and enjoyment, and to ensure the protection of the Brum Woods area, please follow these simple guidelines.